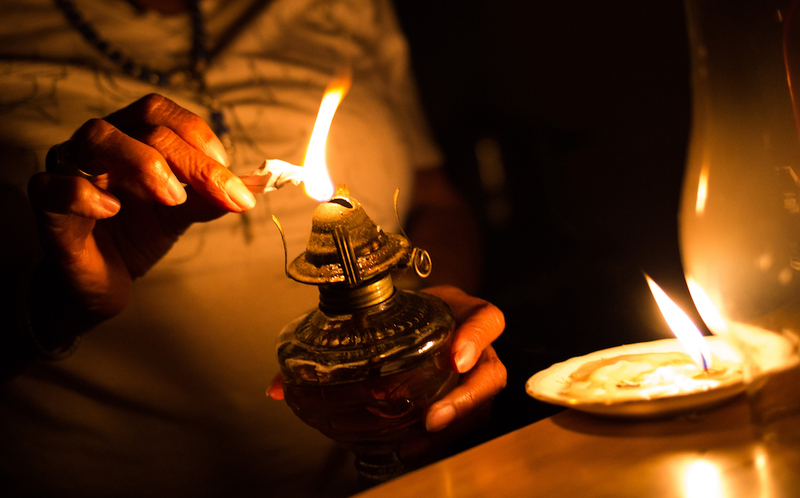 Cyclone Kenneth: Does Mboweni have a plan in place to prevent potential rolling power blackouts? A powerful Cyclone is reportedly moving towards Northern Mozambique. This would be the second storm system to hit the country in just over a month. In March, another powerful Cyclone Idai made two landfalls in Mozambique. During the first storm the transmission line to South Africa was affected, cutting electricity supplies by 900 MW and thereby worsening the chronic electricity shortage in the country. This means that South Africa should brace itself for more rolling power blackouts as the electricity supply might be affected by the impending threat of tropical cyclone Kenneth. 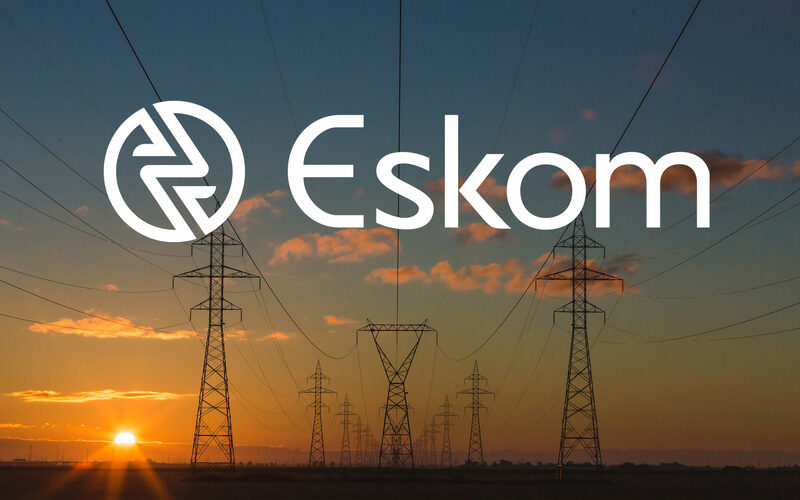 Last week, it emerged that government has already issued a R17 billion emergency bailout to Eskom which was intended to pay bills due at the end of March and to save Eskom from a total collapse. This raises numerous questions: If emergency funds were already given to Eskom for operational requirements, will there be emergency funds available should hurricane Kenneth strike and destabilize our electricity grid? And, where will those funds come from? Also with government raiding emergency contingency funding, how will President Ramaphosa fund the relief efforts already underway in the Eastern Cape and Kwa-Zulu Natal. Clearly Eskom has an inadequate cash flow to fund its capital expenditure program or sustain operational expenditure, the Democratic Alliance (DA) therefore calls on Finance Minister, Tito Mboweni to come clean about the plans that National Treasury and government have in place to mitigate against potential power failures suffered as a result of this looming cyclone since they have already spent R17 billion emergency funds just for Eskom’s to meet its day-to-day operational requirements. Eskom will not to be able to generate enough internal cash to meet its obligations over the next five years. That is why, last year, the DA introduced the Independent Systems Market Operator (ISMO) Bill that seeks to break Eskom into two separate entities – a generation and transmission/distribution entity. This would cheapen the cost of electricity, bring about much needed competition and ensure that South Africa is not being forced to pay for the corruption and mismanagement which has taken place at Eskom. South Africans need to know that the ANC government is prepared to plunge the country into debt, just to keep the lights on for the next 14 days until Election Day. While we cannot control the force of nature and bad weather, we can put measures through proper governance and management to mitigate the damages natural disasters might bring. The only way to put an end to this cloud of uncertainty surrounding Eskom is for South Africans to vote for change on May 8th. South Africans must be under NO illusions, after the elections, and if left in power the ANC will plunge country into darkness or a financial crisis – or both. Only the DA has a plan to keep the lights on and turn around the mess at Eskom. 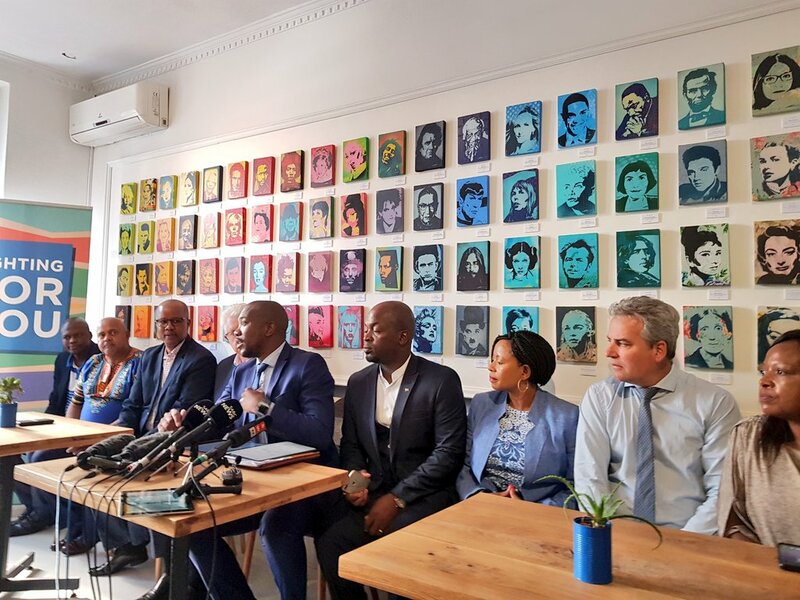 The Democratic Alliance (DA) notes reports on the outcome of the inquiry conducted by retired Justice Yvonne Mokgoro, finding Nomgcobo Jiba and Lawrence Mrwebi unfit for office. If reports are accurate, it is indeed a great day for the National Prosecuting Authority (NPA) and the criminal justice system as a whole. A finding that Jiba and Mwrebi effectively sold out to the highest bidder and in the process played a massive role in the state capture mechanism which allowed the scale of corruption we have witnessed to proceed with almost guaranteed impunity. The Mokgoro Inquiry findings vindicates all those individuals who testified before it and demonstrates the levels to which they stooped to accommodate their political masters. The almost total decimation of the entire criminal justice system was the result of these and other officials ignoring their constitutional duties and aligning themselves with whoever made the highest bid. If the reports are correct, then President Cyril Ramaphosa can do nothing else but fire them both, and the NPA should give serious consideration to prosecuting them both. 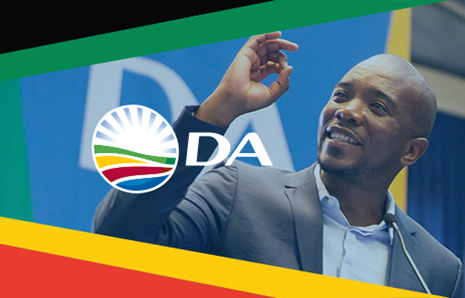 The following remarks were delivered today by Democratic Alliance (DA) Leader, Mmusi Maimane, at a picket outside the Department of Rural Development and Land Reform in East London, Eastern Cape. 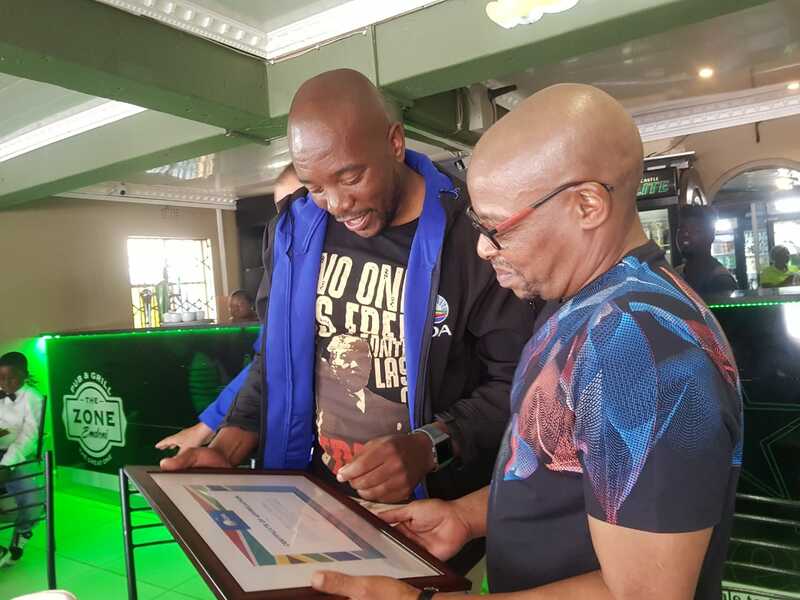 Maimane was joined by DA Eastern Cape Premier Candidate, Nqaba Bhanga. Attached please find a copy of the memorandum that was delivered to the Department. Today we are gathered outside the Department of Rural Development and Land Reform in East London to send a clear message to the ANC government: the people of Gwatyu in the Eastern Cape are finished playing your games! They want rightful ownership of the land they’ve lived on for generations. I am joined by members of the Gwatyu Communal Property Association (CPA) who have led the valiant fight on behalf of over 1500 residents of Gwatyu that still do not own the land they rightfully should. The people of Gwatyu have been in an endless battle with the ANC government for over two years seeking the transfer of ownership of the approximately 42 000 hectares – constituting 88 farms – from the government to the Gwatyu CPA. It appears the ANC government is hellbent on keeping these South Africans dependent on the state, rather than giving them ownership of the land they live on. It cannot be that 25 years into democracy, many South Africans have yet to taste true freedom – including the freedom to own property, to prosper, and to create a better life for themselves and their loved ones. All we have been left with is empty promises from a party that has no offer for the people of South Africa. The demands of the people are simple: the official registration of the Gwatyu CPA, the release of the land rights enquiry conducted by the Department of Rural Development and Land Reform, and the transfer of land ownership rights to the people of Gwatyu. Over a year ago, after hearing the plight of these South Africans, I personally visited the village of Gwatyu and committed to take this fight to Parliament and if need be, to the courts. Following raising this matter in Parliament, the Minister of Rural Development and Land Reform, Maite Nkoana-Mashabane, committed to me in writing on 19 June 2018 to deliver the land rights enquiry to the people Gwatyu by 28 October 2019. Almost six months later and Minister Nkoana-Mashabane has failed to honour her word. The ANC government is waging a war of attrition against the people of Gwatyu, hoping they will give up on their fight. But they underestimate their resolve. The Gwatyu CPA unite around the creed of “nothing for us, about us, without us” and will not relent in this fight. Provide a date that this urgent meeting will take place. 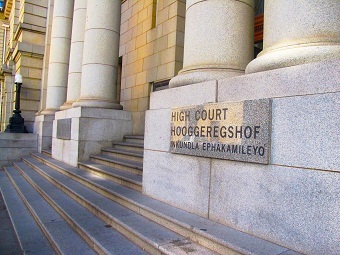 The Minister has a constitutional duty to prioritise this matter, and our legal team has given the Minister until the end of today, 25 April 2019, to respond. If the Minister fails, we will be left with no choice but to approach the courts. The sad reality is that the 1500 members of the Gwatyu CPA remain in the same position they were in during Apartheid – tenants of the land they live on, and at the mercy of government. They have endured decades of empty promises and are no closer to owning their land now than they were twenty years ago. 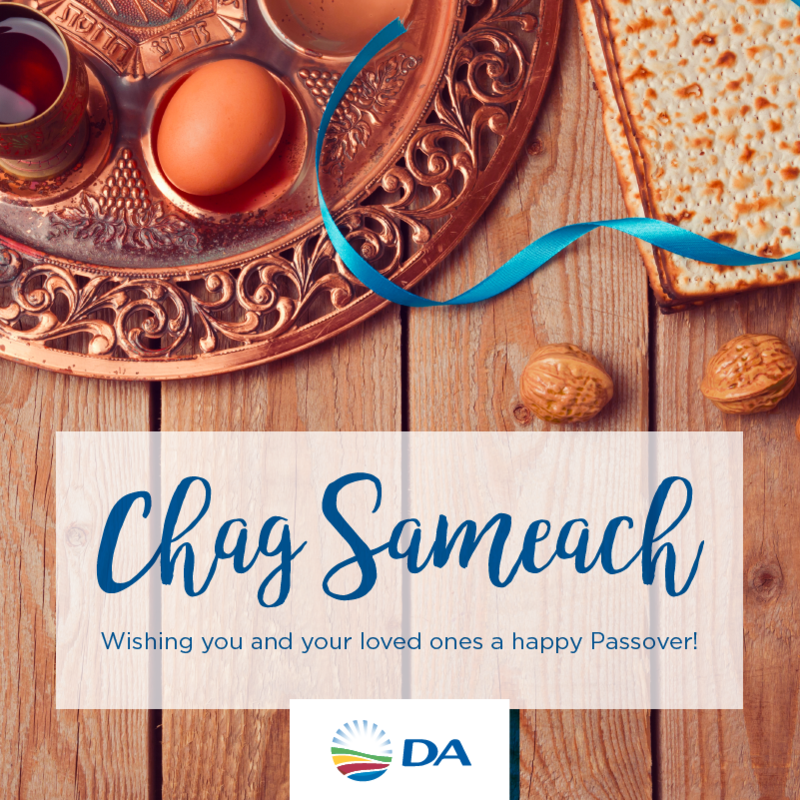 The DA’s fight is to ensure more South Africans are owners of the land they live on. Title to land fosters ownership and economic empowerment. It puts people locked out of economic opportunity on the first rung of the asset accumulation ladder. It allows people to leverage this asset, to generate income, and to leave a real asset for their children after they pass away. It also restores the dignity of our people. As long as the ANC are the gatekeepers of this land, this resilient community will keep on being excluded as economic outsiders by ANC insiders. 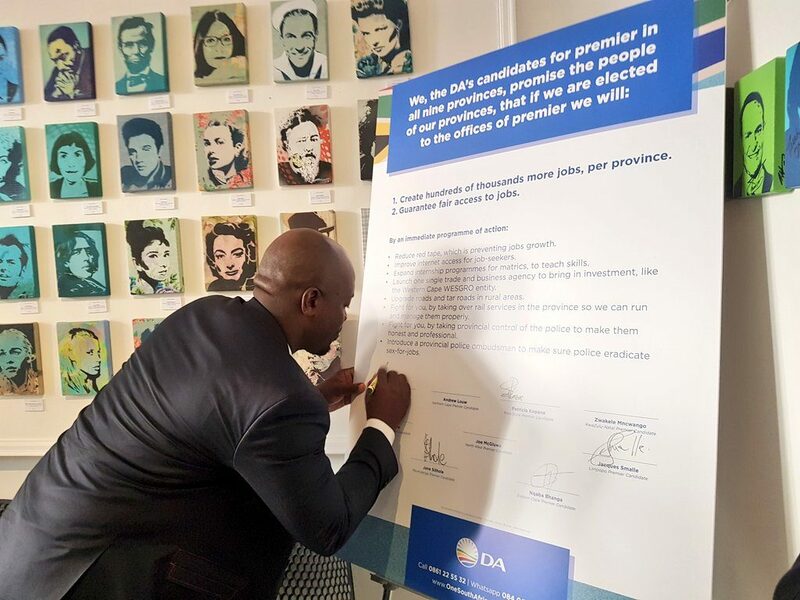 The DA’s pledge to bring change that builds one nation with one future is a commitment to see justice done that registers the Gwatyu CPA, transfers land ownership to the CPA and puts a job in every home of the community. The people of Gwatyu deserve so much better than another five years of empty ANC promises. Their struggle is our struggle, and we stand in solidarity with this community who have long been forgotten by the ANC. The following remarks were delivered today by the Chief Whip of the Official Opposition, John Steenhuisen MP, in Parliament. The supporting documents can be found here and here. It is no secret that the South African economy is in dire straits. The government has had to fork out billions of taxpayer’s money to prop up failing SOEs which have been gutted by decades of ANC corruption and mismanagement. President Cyril Ramaphosa is fully aware of the state of our country and the fact that 10 million South Africans cannot find a job and put food on the table. 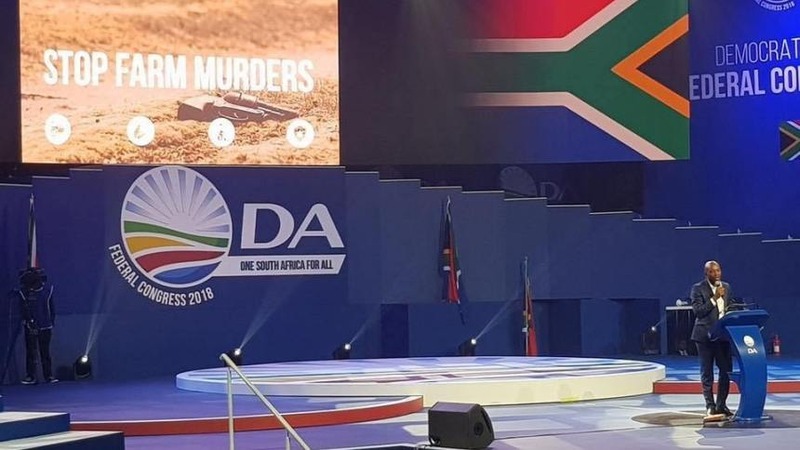 Yet, in the face all this, the DA can confirm that the Presidential inauguration, scheduled to take place on 25 May 2019 at Loftus Versfeld Stadium in Tshwane, is set to cost South Africans an astounding R120 million. In the wrap up of the 5th Parliament, political parties were informed that the costs for the 2019 Presidential inauguration as well as the opening session of the 6th Parliament would be kept to an absolute minimum given the desperate financial state we find ourselves in after 25 years of ANC rule. 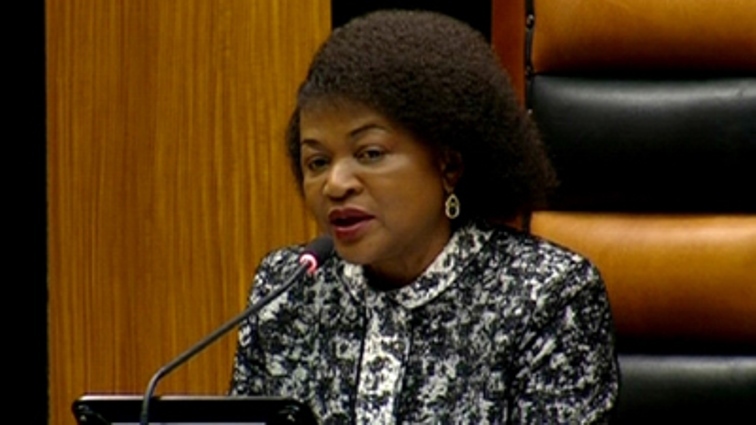 A budget of R60.6 million was requested by the Parliamentary Administration for the rollout of the 2019 Parliamentary inauguration programme which will see all 400 incoming members of Parliament on-boarded, trained and inducted. National Treasury refused to grant this, leaving Parliament with R8.4 million from their budget for the 20198/19 financial year. To plug this hole, numerous austerity measures were implemented, such as a reduction in staff; the secondment of staff from Provincial Legislatures; the re-utilisation of ICT equipment for new members; as well as negotiation with other government departments to cover strategic costs. Yet, in spite of the drastic cutbacks being navigated by Parliamentary Administrative Services for the inauguration of incoming MP’s, the public will now have to fork out over R120 million for the wasteful excesses of the Presidential Inauguration ceremony. By convention, the inauguration of the President is held at the Union Buildings with a select invited audience. 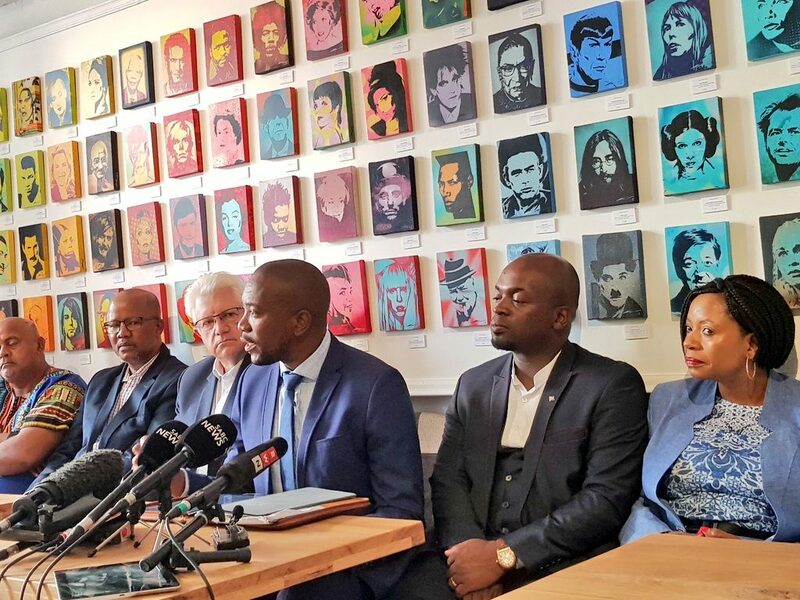 While the South African public should be incorporated in the inauguration of a president, it is unconscionable that the presidency will spend hundreds of millions to transport people in, taking precious financial resources from local municipalities to fund this jamboree. What is even more astounding is that the presidency has instructed the Provinces to send 2 000 municipal delegates to fill the new, larger venue. The presidency has instructed that the cost of transporting these delegates to Tshwane be covered by cash-strapped local municipalities. This could amount to an additional R2 million alone. A total of 128 municipalities are in financial distress. Municipal debt exceeds the total amount allocated to local government from the national fiscus. More than half of the country’s municipalities have serious liquidity challenges, and are failing to deliver services, bill services and collect revenue. Governance, institutional and operational inefficiencies continue to plague these administrations, depriving millions of ordinary South African’s access to even the most basic services such as running water, electricity or sanitation. Our municipalities should be providing basic services to South Africans, not bussing delegates to political events. It is incredibly irresponsible for the Presidency to redirect monies which could be used to fix potholes, provide water and sanitation to communities, to essentially rent-a-crowd for the inauguration. In addition, this excessive venture is also presumptuous. The ANC is functioning under the assumption that it will be re-elected come 8 May 2019 when this may not be the case. South Africans are yet to head to the polls and cast their vote and will be doing so in 12 days’ time. Under a DA government, this excessive spending would not be condoned. The fact is that Treasury does not even have the money to give to municipalities to cover just their basic debt. Now the Presidency is asking municipalities to pay out even more money for a once off event. This is the clearest sign yet that the tightening of the expenditure belt has only been lip service. Cyril Ramaphosa is not committed to ensuring the people come ahead of flashy political events that the public must pay for. We must face up to the fact that the ANC, this time under Ramaphosa, is the same old bus that genuinely does not care about implementing a financial turnaround strategy for this country after the 08 May has come and gone. On 25 May, South African’s need to know that it is money from their rates and taxes which should be spent on delivering basic services, that will be used to fund Cyril’s hoped-for fan-fare. 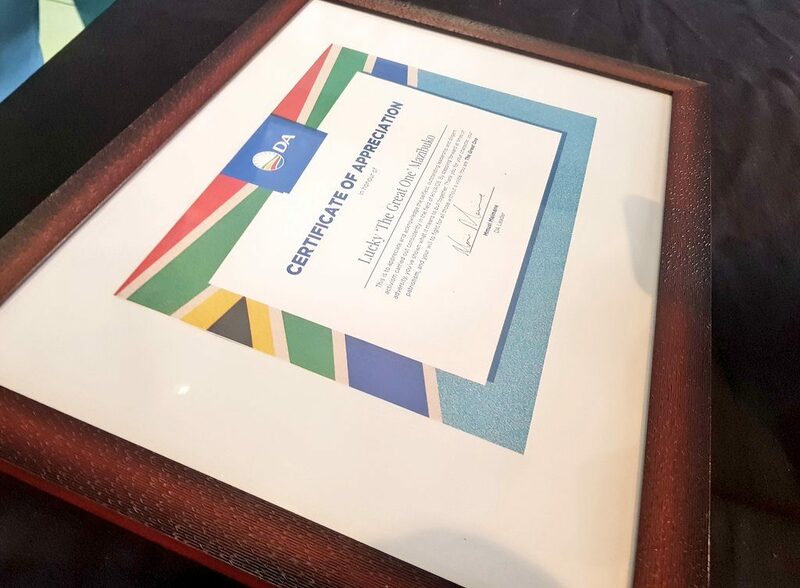 A DA run Presidency would immediately slash all ceremonial excesses to an absolute minimum. Our Leaders will be focussed on cutting corruption, delivering services and protecting, and building One South Africa for All. Een Sondagmiddag in 2015 het Vrystaatse boer en DA-raadslid, Alison Oates, by haar huis aangekom toe sy deur twee mans oorval is. Sy is vir ure lank vasgebind, verkrag en gemartel. Vandag, vier jare later, glo sy die polisiediens en die regstelsel het haar gefaal. “Geen boere is veilig nie. Ons het veiligheidstralies, ons het alarms, ons het radio’s, maar die laaste 20 jare het ons swak ondersteuning van die polisie gehad en swak steun van ons regstelsel” sê Alison. Woensdag, 17 April, het Alison saam met die DA se Vrystaatse Premierskandidaat, Patricia Kopane, en ander DA-leiers ‘n landelike veiligheidsoptog in Bloemfontein gelei. 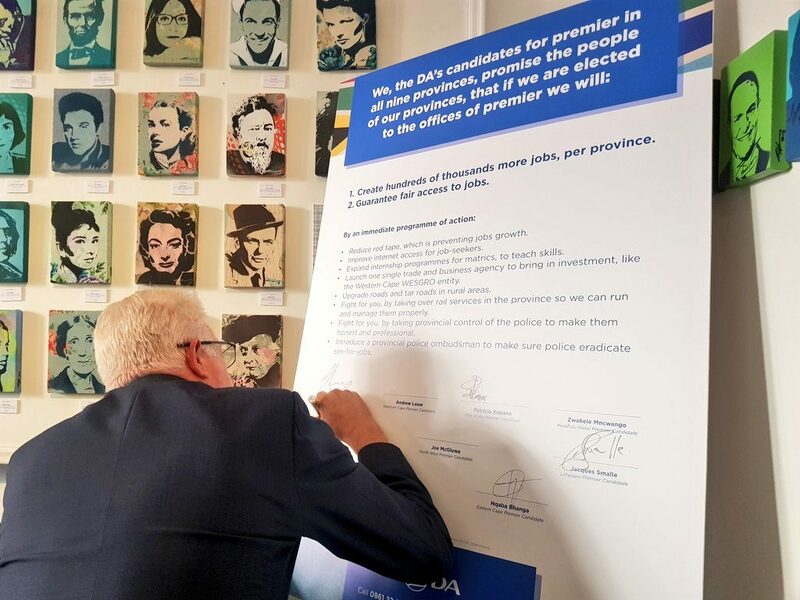 Die DA het ‘n memorandum oorhandig aan die Vrystaatse Polisiekommissaris waarin ons vra vir die dringende hervestiging van gespesialiseerde landelike veiligheidseenhede, veral vir die beskerming van kwesbare vroue in landelike areas. Die DA veg vir die veiligheid van alle Suid-Afrikaners in landelike gemeenskappe. Ons doen al jare lank ‘n beroep op die ANC-regering om gespesialiseerde veiligheidseenhede na ons landelike areas terug te bring. Onder die DA sal landelike veiligheid ‘n ononderhandelbare regeringsprioriteit wees. Die DA sal ook toesien dat oortreerders spoedig gevang en verhoor word.